Mike Lipski, director for business development and strategic planning at Huntington Ingalls Industries‘ (NYSE:HII) shipbuilding division, will serve as the division’s vice president of business development starting April 1. He has served in his current role at Ingalls Shipbuilding since 2012 and will manage the division’s business development work for the U.S. Navy and Coast Guard, Huntington Ingalls said Wednesday. Brian Cuccias, vice president for program management, said Lipski will be responsible for identifying and capturing future business opportunities in his new role. “Our future depends on effectively acquiring and executing new business, ” Cuccias said. Lipski started at Ingalls Shipbuilding in 2007 as director for sector administration and progressed to director of large-deck amphibious programs, then capture team lead for the Tripoli amphibious assault ship. 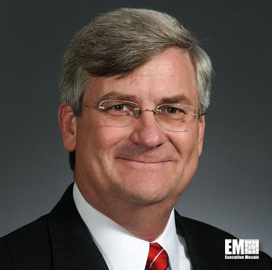 The 20-year U.S. Navy veteran served as facilities and engineering division branch head for the chief of naval operations and was a legislative fellow for former Sen. Trent Lott. Lipski graduated from the University of Mississippi with an electrical engineering degree and from the Naval Postgraduate School with a degree in financial management.